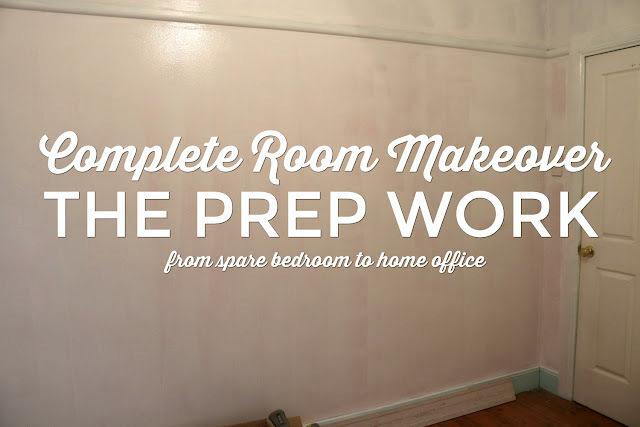 Whilst we are currently on vacation in beautiful Hawaii, I wanted to give you a quick update on how our room makeover process is going. That way, when we get back you'll be all up to date and you can follow along as I work out the furniture and design side of things. 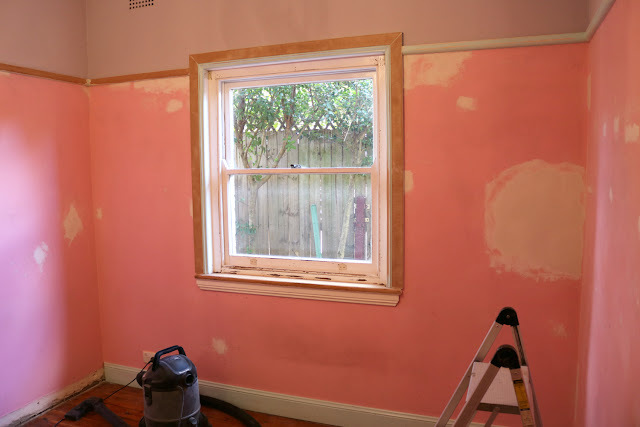 The last time we spoke about this, I showed you the awful before photos and gave you a run down on how to choose the right person on Airtasker and since then a whole lot of work has been happening. The first step was to patch up the walls. 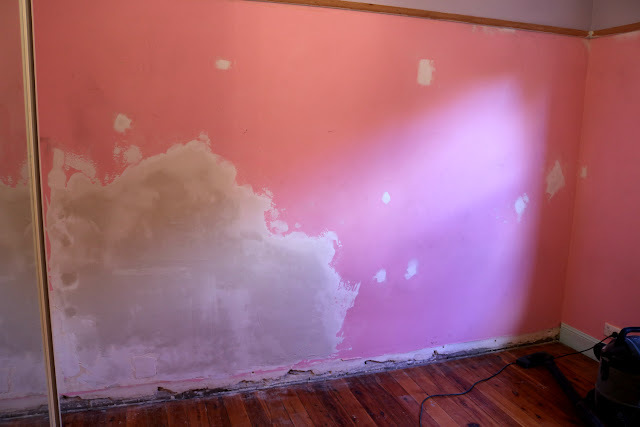 Jesse and I had already sanded back all of the woodwork in the room so the patching was the last bit of prep work we needed to do before the undercoat could go on. This is also where we learnt a valuable lesson: Don't trust people that work at Bunnings. Actually, I should rephrase that. Just because a person looks like they know what they are talking about and says that they know what they are talking about, that doesn't mean that they actually know what they're talking about. Remember how I told you we'd been overwhelmed by the patchwork because we had no idea how to get started? 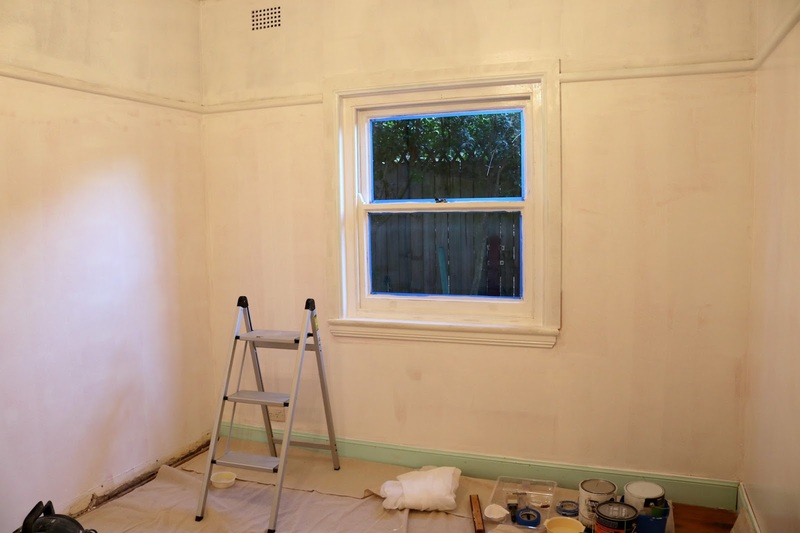 That's because this guy at Bunnings sold us this big ol' bag of acrylic something-or-other that we had to mix up and use to patch the walls. That seemed totally overwhelming and we did nothing about it because we were convinced we'd mix it up wrong. The walls were patched and we bought the undercoat and paint, ready to start the undercoat. 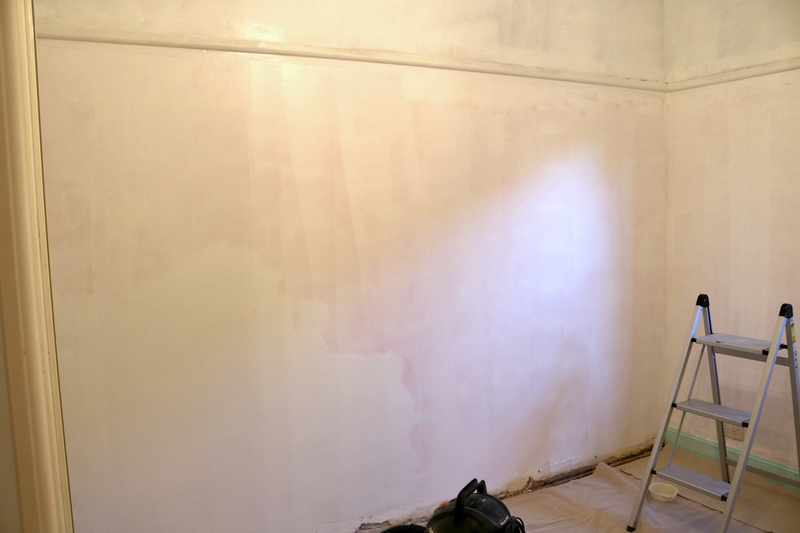 After the patching had a day to dry out, Gengiz came back to do the undercoat. It was just the undercoat so it was still streaky and all over the place - but the room looked totally different already. I'll admit, I was a little worried walking into it first as I wasn't sure if I'd chosen the right colour (to paint the room completely white) but even with just the undercoat, the room already looks so much bigger and brighter. Notice the random bottle in front of the mirror? That's me googling "How to get rid of paint smell" and then placing random bowls of vinegar all over the room. And speaking of that mirror, that's going to go. That's a built in wardrobe but we're thinking of taking the doors off (as they're too big for the wardrobe so you can't get to the middle) and doing a bit of an overhaul on that too so I'll have more storage. 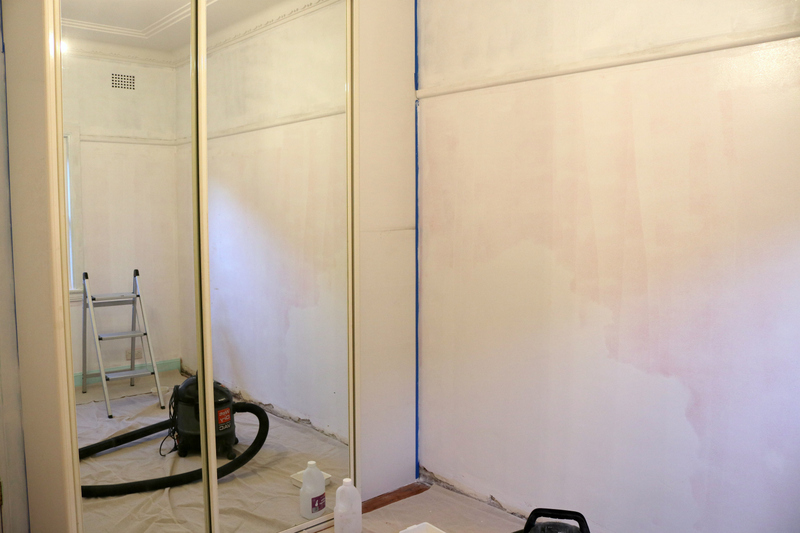 And there you have it, undercoat done. Next step; the final paint job! FYI, Australian friends - if you want to use Airtasker for any future projects you can use this link for $25 off. Note: I will get $10 of Airtasker credit if you use the link - but you don't have to pay anything extra - and you can then use your link so your friends can save money and you can earn credit too. But tell me, what's one valuable lesson you've learnt lately? And have you got any tricks to get rid of paint smell?